Even if you brush and floss regularly, plaque and tartar can gradually accumulate. If not removed, these bacteria-breeding substances cause the gums to become irritated and swollen. 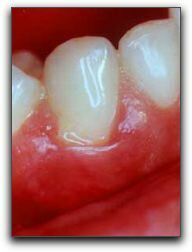 Eventually, the gums become detached from the tooth, creating a ‘pocket’. This creates a new space for plaque and tartar http://www.achaten-suisse.com/ to grow. In advanced stages of periodontal disease, the toxins created by the bacteria literally rot the gum, teeth and bone. At Felton Dental Care in Missoula, we perform the most thorough dental cleanings possible. Gum disease can be reversed in its early stages. Our goal is to help our Lolo dental patients prevent gum disease before any damage occurs. Cleanings include root planing and periodontal scaling. Scaling removes the plaque and calculus above and, especially, below the gumline where your toothbrush cannot reach. Planing smoothes root surfaces so it is more difficult for plaque and tartar to accumulate and grow. It also creates a healthy surface for the gums to reattach to the root if necessary. To schedule a deep cleaning, call 406-728-0896. We are located at 1750 Brooks St in Missoula. In addition to providing comprehensive dental cleanings, we create mega-watt smiles for cosmetic dentistry patients in the Frenchtown and Orchard Homes area. See https://www.themissouladentist.com/ for more information about our state-of-the-art dental practice.